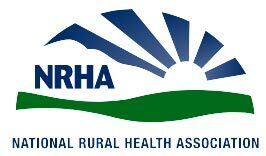 The National Rural Health Association warns, “More than 70 rural hospitals have closed and counting. Right now, 673 additional facilities are vulnerable and could close – this represents over 1/3 of rural hospitals in the U.S.” TeleHealth Solution can help critical access hospitals by keeping the treatment of the patient—and the revenue generated by that patient—local. At the same time, we protect the rural community’s doctor from becoming overwhelmed and burnt out. TeleHealth Solution benefits everyone. Frequently Asked Questions for Long Term Acute Call Hospital. Your LTACH faces many burdens when nocturnal coverage is limited due to budget or when day coverage is unpredictable due to fluctuating census. 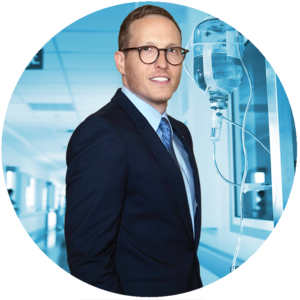 Read on to discover how our TeleMedicine Technology and virtual Hospitalists can alleviate the burdens experienced by your doctors, patients, nursing staff within your long term acute care hospital. Why should our Long-Term Acute Care Hospital implement TeleMedicine using TeleHealth Solution? TeleHealth Solution’s virtual hospitalists can provide nocturnal coverage, day coverage with advanced practice clinician supervision, and cross coverage based on your LTACH’s needs. All of this can be provided at a fraction of the cost of an in-house Hospitalists without compromising quality of care. What kind of TeleMedicine Technology do you use? TeleHealth Solution uses the most up-to-date TeleMedicine Technology. Our carts are equipped with the tools our doctors need to properly evaluate and treat a patient. Our TeleMedicine cart includes a high definition camera, a virtual stethoscope, and a 24″ screen with up to 15 additional accessories if needed. All of our equipment is provided to you at no cost and all you need to provide is basic Wi-Fi and a telephone line. How does TeleHealth Solution work in our LTACH ? If a patient experiences an acute medical change during a nocturnal shift, our physicians are on call and available to provide treatment in real time. With our equipment and your nursing staff, we can evaluate the patient, order additional labs and tests, and form a treatment plan. Our nocturnal physicians will be available the remainder of the shift until the patient is handed off to your daytime in-house physician or one of our daytime virtual physicians and will communicate the plan of care. If TeleHealth Solution is providing daily APC supervision in your LTACH, our hospitalist will directly supervise your nurse practitioner or physicians assistant as they examine, round, and formulate a treatment plan. The APC and the doctor will communicate daily and discuss the needs of all patients. 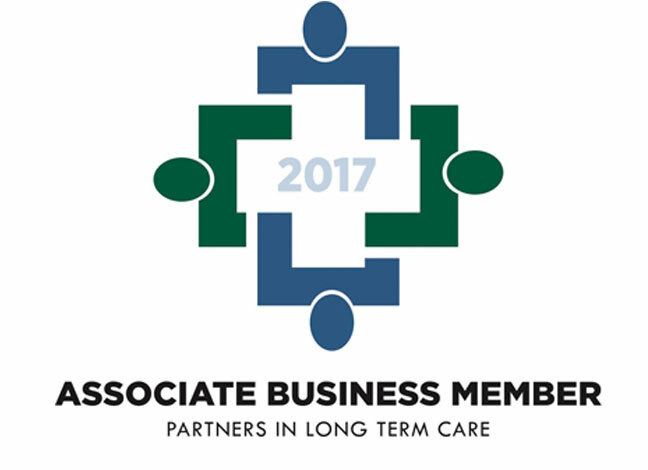 With the assistance of the APC, the doctor can order additional labs and tests, have family meetings, discharge patients, and more, all at the fraction of the cost of an in-house provider. TeleHealth Solution uses the most up-to-date TeleMedicine Technology. Our carts are equipped with the tools our virtual Hospitalists need to properly evaluate and treat a patient. 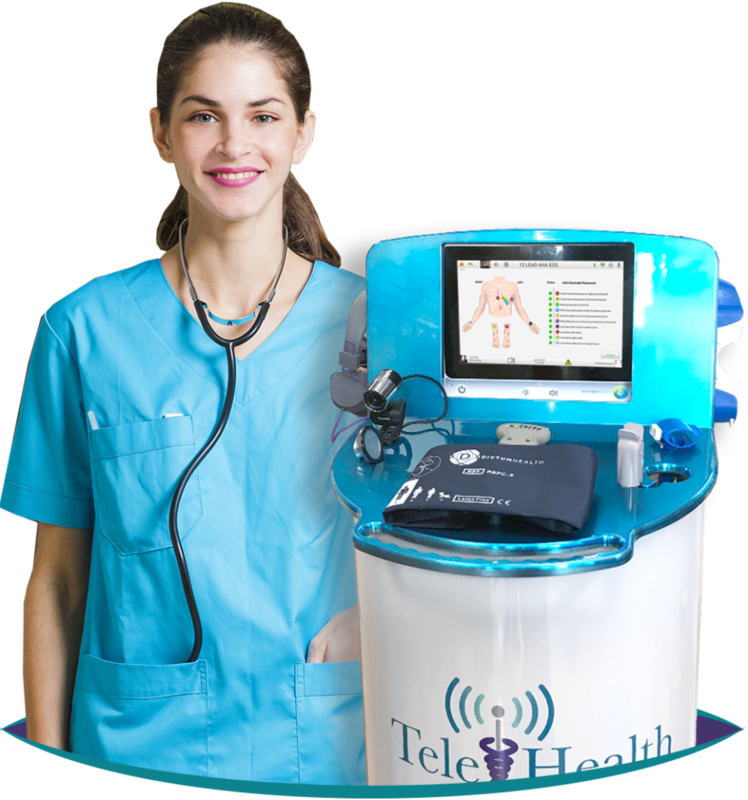 Our TeleMedicine cart includes a high definition camera, 12-lead EKG, a virtual stethoscope, a tympanic thermometer, and a pulse oximeter. All of our equipment is provided to you at no cost. All you need to provide is basic Wi-Fi and a telephone line. How does TeleHealth Solution work in our facility? What kinds of clinical issues can TeleHealth Solution treat virtually? Our virtual Hospitalists are capable of managing acutely ill patients with complex medical histories just like your in-house doctors. We can order additional labs, tests, and medication as needed. With the use of diagnostic tools, we are able to diagnose a patient and form an appropriate plan of care. We can even run a code blue or consult with other specialties as needed. What other services does TeleHealth Solution provide? TeleHealth Solution is compromised of hospitalist physicians with support from cardiologists, pulmonologist, psychologists, neurologists, and more. Using our telemedicine platform, we can bring our specialists to your hospital, or if you prefer, your own in-network specialists can use the technology to care for your patients. These physicians can remotely diagnose, as well as treat LTACH patients quicker and more cost effectively. How often can our nurses call TeleHealth Solution? Your nursing staff can call TeleHealth Solution’s virtual hospitalists as many times as needed during our on-call shifts. If a patient is in distress and requires care, we are available. We do not limit the number of calls per shift or per patient. We can be accessed as long as it takes to provide top-notch medical care to your patients. How do attending physicians and nurses like working with TeleHealth Solution? Our doctors are relieving the burden of treating patients over the phone during nocturnal hours when it is not cost effective to have doctors onsite. This improves improves access to care for your patients, decreased transfers in the middle of the night, and more confidence from other doctors and specialists. Nurses also love having TeleHealth Solution virtual hospitalists on call. We fully train your nursing staff and teach them how to use our TeleMedicine Technology to help provide the best medical care for your patients. The nursing staff is more confident and more comfortable working when they know they have a virtual hospitalists just a phone call away. How does TeleHealth Solution interact with a patient and their family? Patients and their families are typically thrilled to find out that their hospital offers access to TeleHealth Solution’s physicians. They find comfort knowing they can be evaluated and treated during all hours in the event acute medical attention is needed. Our physicians can communicate with the patient and their family, and discuss the plan of care. Our physicians can also have end-of-life conversations with patient’s families if desired. What happens if a patient suffers a code while TeleHealth Solution is on call at our long-term acute care hospital? Having our skilled TeleHospitalists is just as effective as having an in-house provider. We can run code blues virtually, as we work through your nursing staff and our TeleMedicine Technology equipment. How is TeleMedicine service going to save my LTACH money? TeleHealth Solution will provide your LTACH with virtual hospitalists at a fraction of the cost of an in-house physician. We have the ability to provide the same level of care, will lower your transfer rate to outside facilities, and have the ability to admit patients during all hours, including nocturnal coverage and cross coverage, which will grow your census. All of these combined will keep revenue in your hospitals. How Does Our TeleMedicine Hospitalist Solution Work? If your hospital requires more than just nocturnal coverage, our TeleHospitalists can be accessible to your patients and staff 24/7/365. Nocturnal coverage can be a hurdle for any hospital and TeleHealth Solution meets the challenges of your critical access hospital whatever they might be. Rural Hospitals and Critical Access Hospitals work remotely with TeleHospitalists to a support system for nurse practitioners, physician assistants, and other clinical staff. An answer to your staffing challenges can provide direct supervision of your in-house Nurse Practitioner or Physician Assistant. 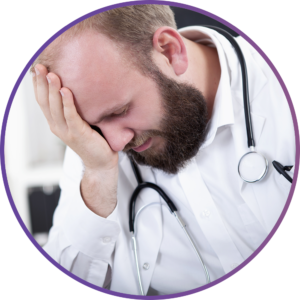 TeleMedicine Technology allows us to alleviate the burden of overwhelmed physicians with cross coverage calls. TeleMedicine: A Welcomed Addition in Rural Hospitals Nationwide. By cross examining Health Professional Shortage Areas (HPSAs) and Medically Underserved Areas and Populations (MUA/Ps) you can understand where TeleMedicine and TeleHospitalists are providing care thats changing lives. Critical Access Hospital Burdens & How TeleMedicine With TeleHealth Solution Helps.